Josh Ockimey went 1 for 3 with a home run and a walk in his first game with the PawSox, and Mike Shawaryn allowed four runs on seven hits over 6 1/3 innings, walking one and striking out six. SoxProspects.com Director of Scouting Ian Cundall was in attendance and noted that Shawaryn's slider flashed plus and that his fastball started off sitting 91-93 before dropping down to 89-91 later in his outing. The first of three postponements on the day came in Portland, where Bobby Dalbec's debut was washed out. A doubleheader will be held on Saturday starting at 5 p.m.
Tanner Houck's start was rained out, and the two teams will play a doubleheader on Saturday at 3:30 p.m.
Jarren Duran made a big splash in his Greenville debut, but it was not enough to beat the Braves. Duran hit .348/.393/.548 over 155 at-bats with Lowell, and he started off going 2 for 3 with two doubles, two steals, a walk, and an RBI for the Drive. Kole Cottam also made his debut, going 0 for 3. Pedro Castellanos joined Duran in having a multi-hit game, going 2 for 4 with a double. It was not a sharp outing from Kutter Crawford, who walked four and gave up three runs, one earned, over four innings. He set a season-high in walks and it was tied for the shortest outing of his season. Lukas Young followed with two innings that saw his defense let him down, allowing four runs with only one of them being earned. Eight of the nine Drive batters had a hit, but they only managed to push three runs across. Ryan Fitzgerald and Marino Campana led the way by reaching base three times, with each getting a single and two walks. Durin O'Linger allowed two runs over 4 1/3 innings, and Devon Fisher took the loss after giving up four runs over two innings. The Spinners were also rained out, and their game will be made up as part of a doubleheader starting at 5 p.m. on Saturday. 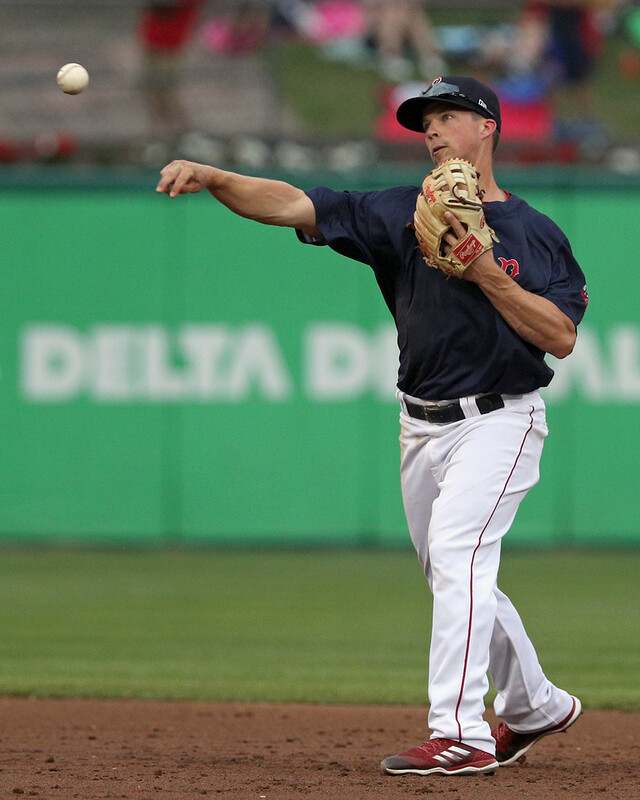 Not much went right for the Red Sox and they were out of it from the start after Ryan Fernandez allowed six runs on five hits in the second inning and Jose Bens allowed two more runs in the third inning. Zach Schellenger was able to keep the Twins off the board in his first rehab appearance in almost two weeks. The offense managed only five hits, with two of them coming from Juan Carlos Abreu. A five-run ninth inning from the Braves was too much for the Red Sox to overcome. The Red Sox entered the ninth with a one-run lead, but Carlos Cortes walked three and hit a batter before being pulled without recording an out, and every inherited runner came around to score. Emerson Ortiz saw his strong start get spoiled as he twirled six shutout innings, striking out four and only allowing two hits. Ceddanne Rafaela and Breiner Licona each went 2 for 4, and Erick Flores went 1 for 3 with a double, walk, and an RBI. There was also a five-run ninth inning in this one but the Red Sox were on the right side of it. Down five entering the inning, they stormed back to tie the game on a grand slam from Oscar Rangel, the first home run of his career. The bullpen was not able to carry the game into extra innings, as Hansel Viola allowed two walks and two singles in the bottom of the ninth. Jorge Rodriguez was hit hard in his start, surrendering 12 hits and giving up seven runs over five innings. Gabriel Perez led the team with three hits and Kleiber Rodriguez went 2 for 4 with a double and a walk. Player of the Night: A double, a home run, and a major league call-up made Friday a great night for Tony Renda. Renda was signed as a minor league free agent back in April of this year, and he will return to the majors for the first time since 2016 when he appeared in 32 games with Cincinnati. Renda hit .326/.369/.467 as a 25-year-old in Double-A earlier that year, though 2017 was a down year for him. He is back to performing well this year, hitting .353/.399/.529 over 47 games split between Portland and Pawtucket.